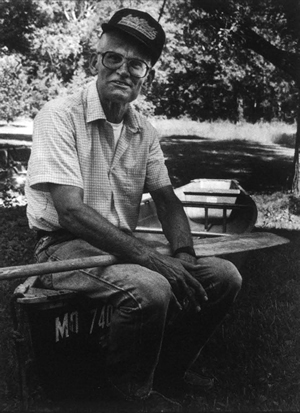 University of Missouri College of Veterinary Medicine Professor Emeritus Homer E. Dale, 95, of Solon, Iowa, passed away at the hospice unit at Mercy Hospital in Iowa City on July 22, 2017, after a short battle with lymphoma. He was born in Minneapolis, Minnesota. He received his doctor of veterinary medicine and a master of science in physiology in 1944 from Iowa State University. Following appointments at the University of Wisconsin and Texas A&M, he received his doctorate in physiology in 1951 from the University of Missouri. He remained at MU, where he taught anatomy and physiology at the CVM. He received the Norden Distinguished Teacher Award multiple times, served as chairman of the college’s Department of Veterinary Physiology and Pharmacology for six years and authored more than 60 scientific publications. Additionally, he taught at Ross University School of Veterinary Medicine on the island of St. Kitts in the Caribbean for two years. He retired as professor emeritus in 1985. An avid outdoorsman, after retiring from MU, he canoed the entire length of the Missouri River from its headwaters to the Gulf of Mexico with his beloved toy poodle, Suki. He is survived by his sister, Pan Gross of Philadelphia, Pennsylvania; his four children, Cynthia Churchill of Columbia, William Dale (Louanne) of Portland, Oregon, Susan (Michael) Wall of Solon, Iowa, and Sally (Tom) Greene of Columbia; grandchildren, Aaron Gravesdale (Meg) of Vancouver, British Columbia, Sara Dale Bley (David) of Denver, Colorado, Christopher Dale of Columbia, Eric Wall of Des Moines, Iowa, Kurt Wall of New Orleans, Brian Wall of Iowa City, Iowa, Thomas Greene of St. Louis, Julia Greene of Salt Lake City; step-grandchildren, Erin Fay of Portland, Oregon, and Garrett (Jenny) Fay of Las Vegas, Nevada; and great-grandchildren, Max, Annabelle, and Chloe.